The album Illmatic is one of the most introspective and telling albums in hip-hop history. The debut album by hip-hop royalty, Nas, has become a standard source of inspiration for many rappers from Kendrick Lamar to Action Bronson to J. Cole. Illmatic solidified East Coast hip-hop at a time where West Coast hip-hop was taking over the airways. In collaboration with PBS, Illmatic will be showcased as a concert film on the PBS show “Great Performances”. 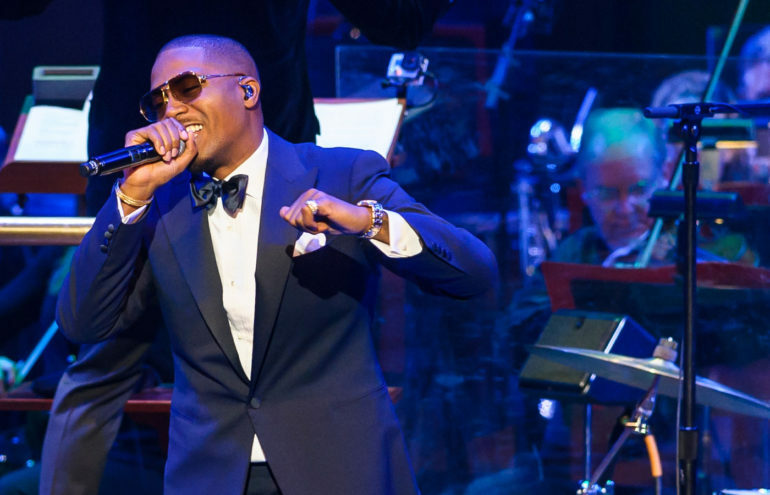 The film will be centered around Nas’ 2014 Kennedy Center performance with the National Symphony Orchestra. In a fusion of hip-hop and classical music, fans of the Queens native will hear the renowned album in a way never heard before. Nas will take viewers on a journey of reflection of Illmatic through behind the scenes footage of his younger days and backstage access to his awesome performance. Fans will get a glimpse into the makings of Illmatic and further insight into how Nas came to be the person he is today. The film is set to air on PBS on February 2nd at 9 pm.